This book refutes the standard beliefs in Meteor Impacts such as Chicxulub. 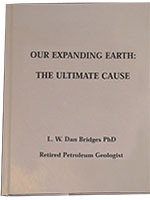 Dr. Dan Bridges, a petroleum geologist, in this book focuses primarily on examining what the world believes are Meteor Impact sites such as the famous Chicxulub site in the Yucatan believed to be the cause of the dinosaur demise 65 MA years ago. Dan is convinced and shows that most of these sites are volcanic in origin from forces below, and that Chicxulub in particular was a super volcano. This is the same surprising visual location of the Chesapeake Bay Impact Crater Site ( … another theoretical crater impact site). 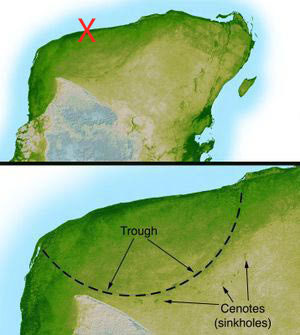 One impact site, perhaps, but not two on the continental shelf separated by 30 million years. Volcanic origins must be considered. Click here to see Wikimedia Commons images of the Chesapeake Bay Impact Crater Site.